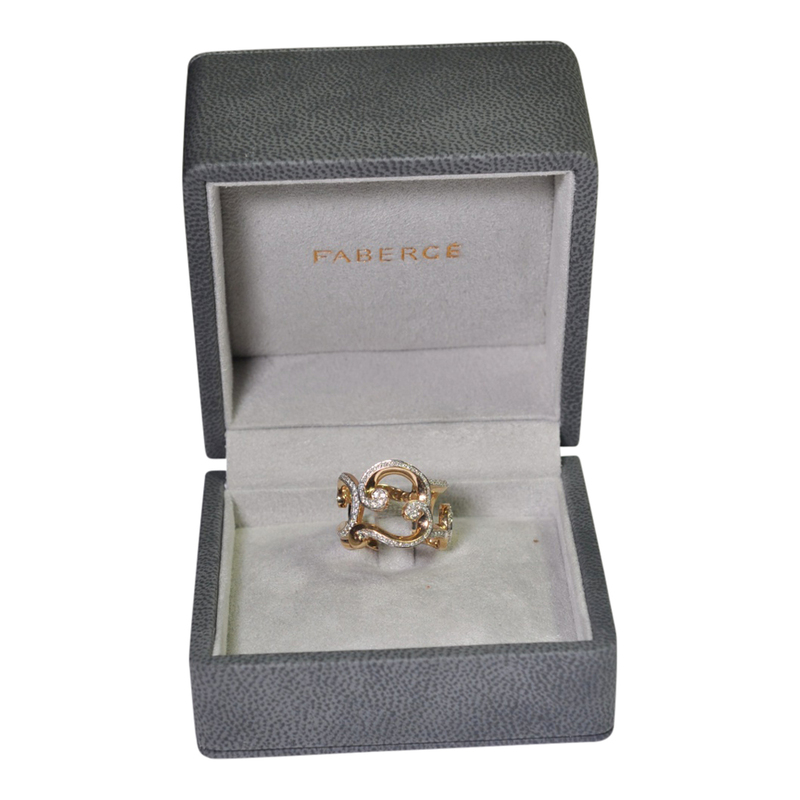 The Fabergé Lace Diamond Rose Gold Ring. 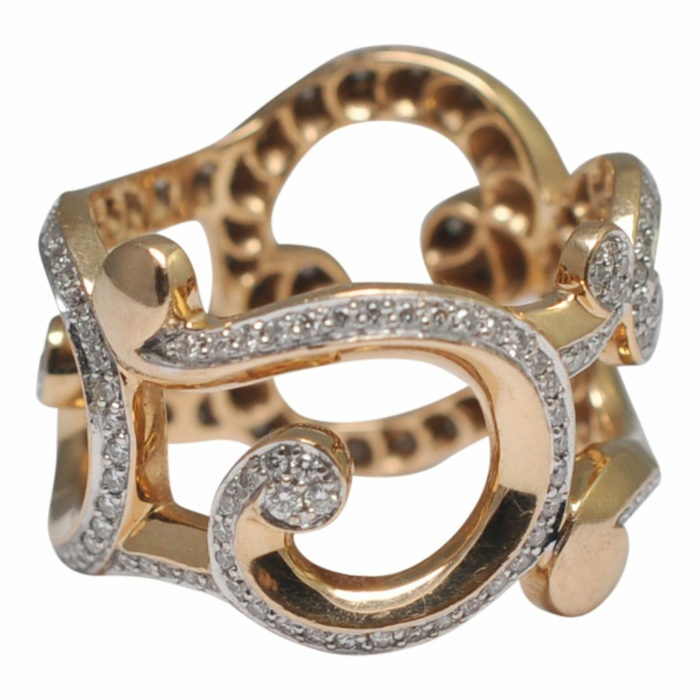 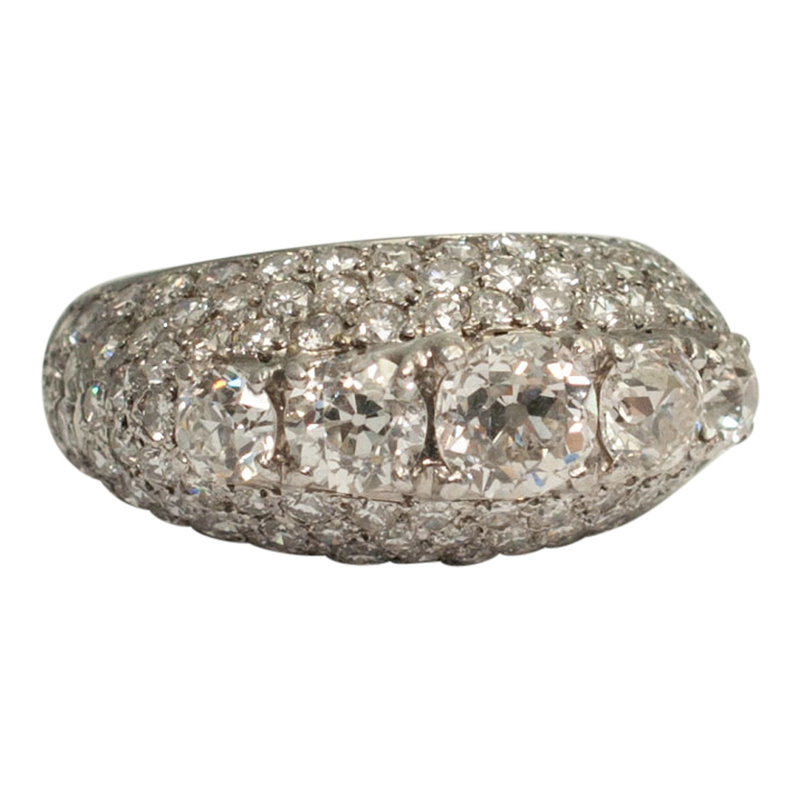 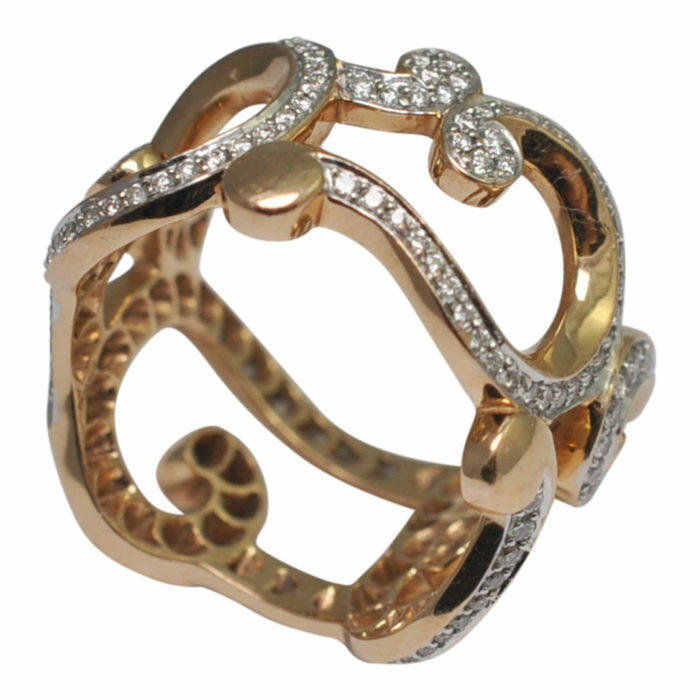 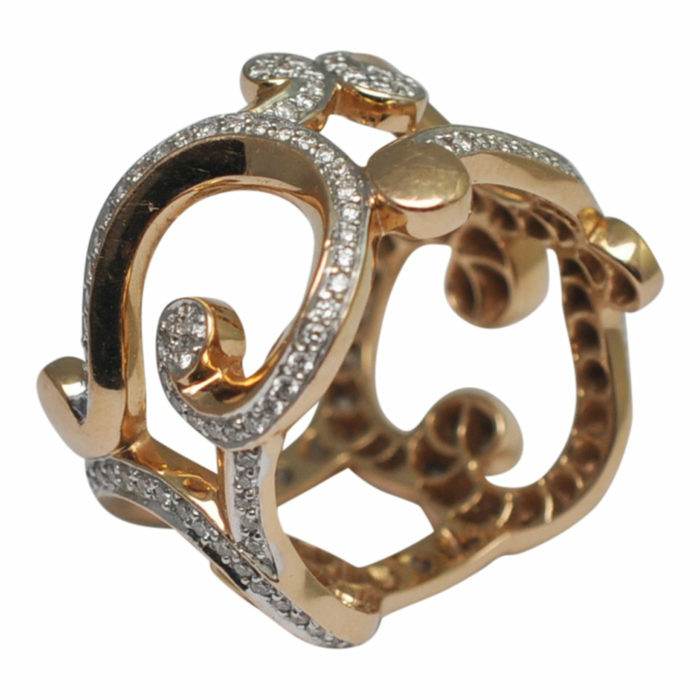 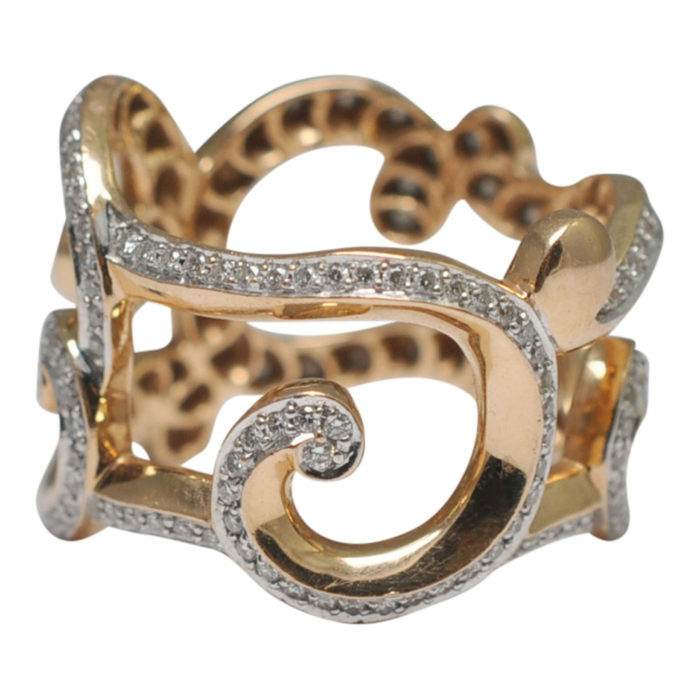 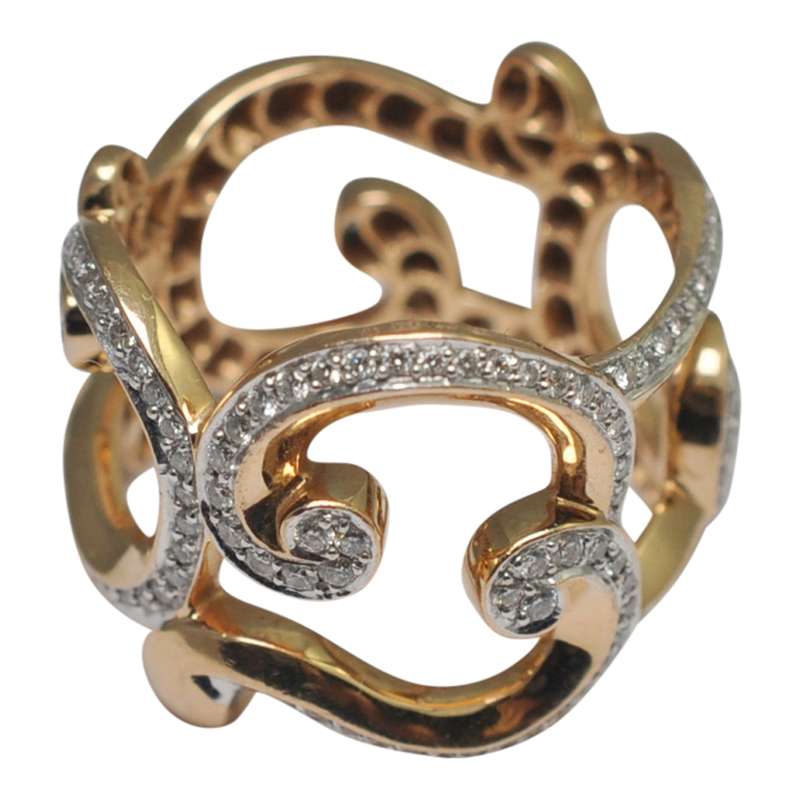 This ring is from the current Fabergé Rococo collection, a modern take on rococo style. 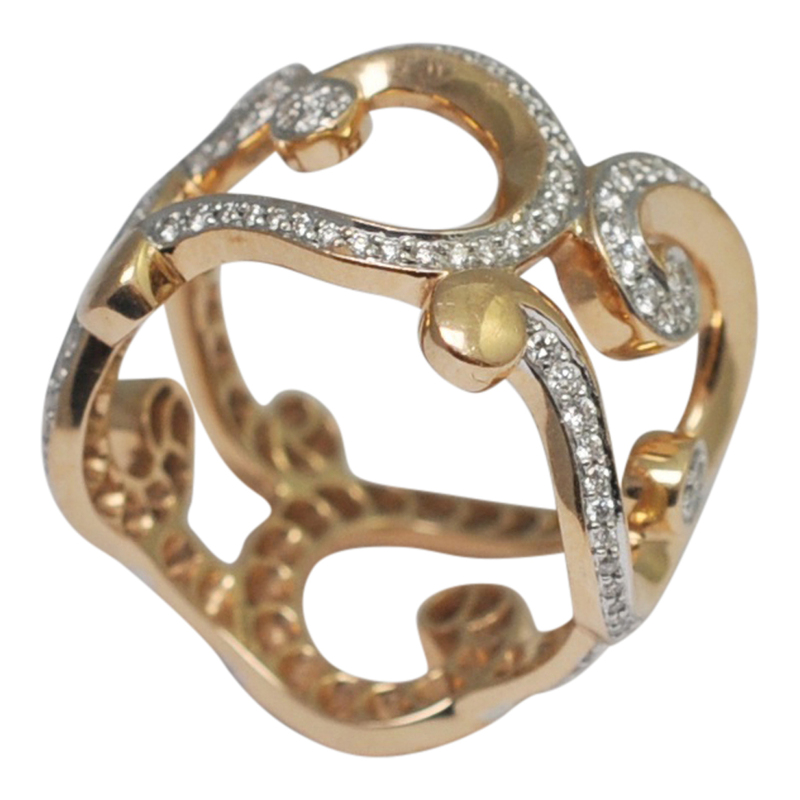 It takes inspiration from the gold scrolls featured on the legendary Rocaille Egg, an original Fabergé Easter Egg created in 1902 f0r Russian heiress Varvara Kelkh, which recalls 18th century Louis XVI style and the rococo artistic movement. 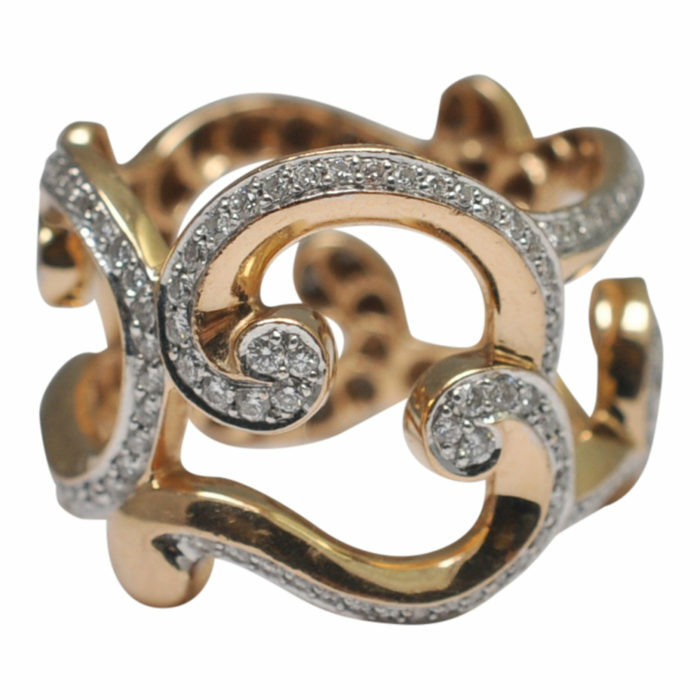 The Lace Diamond Rose Gold Ring features 1.52cts of brilliant cut round white diamonds set in warm tones of 18ct rose gold. Weight 10.88gms; signed Fabergé; fully English hallmarked with London hallmark for 18ct gold and maker’s mark for Fabergé. 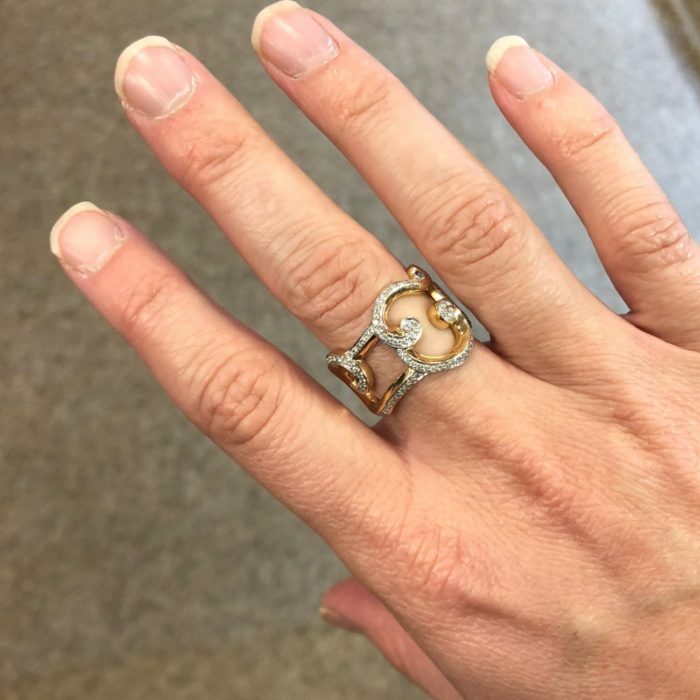 Finger size Q (UK/AU), 8.25 (US), 58 (French). 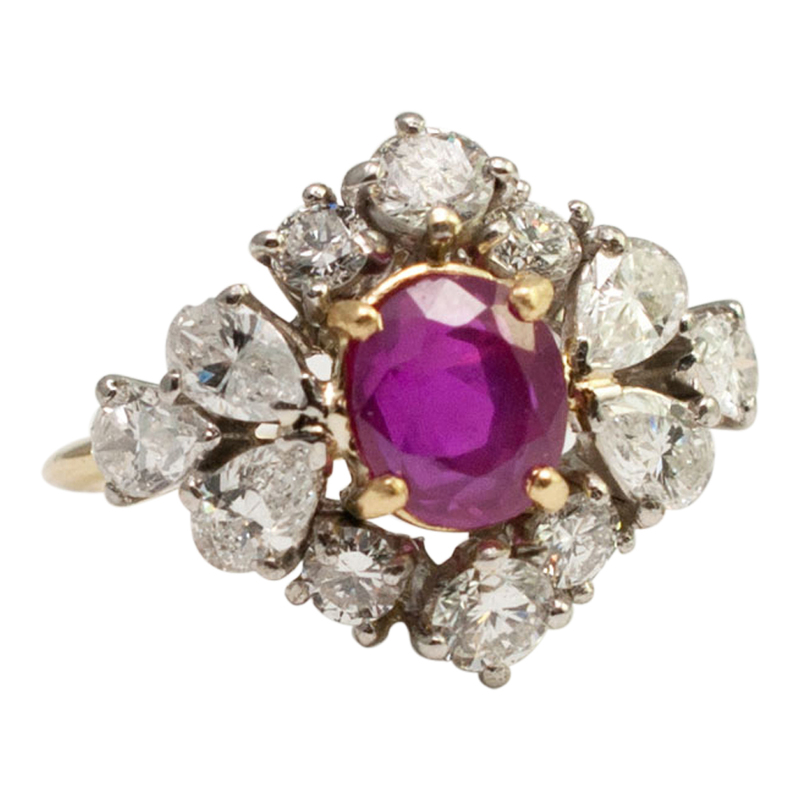 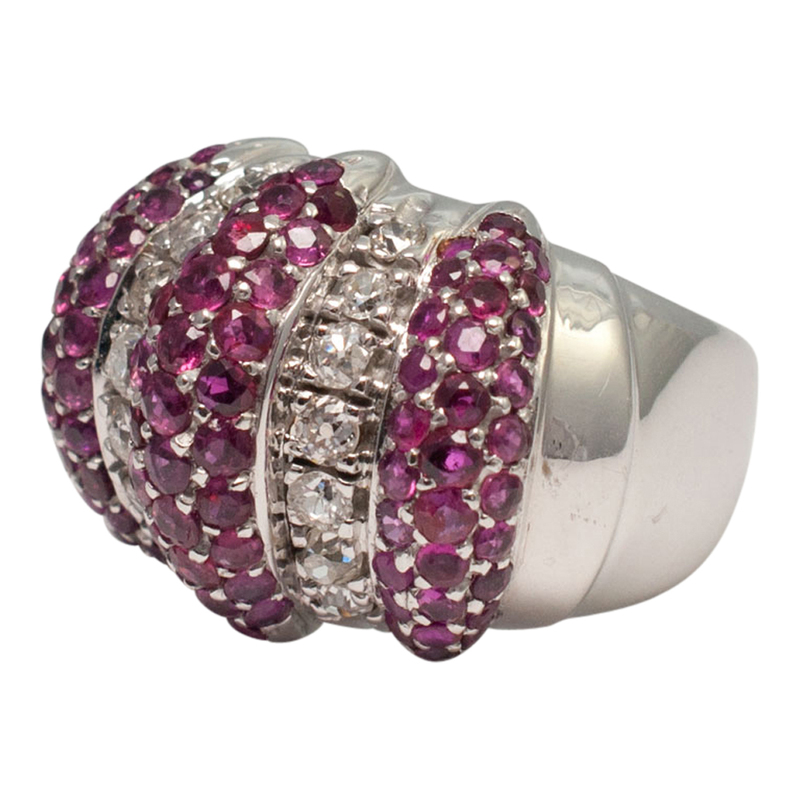 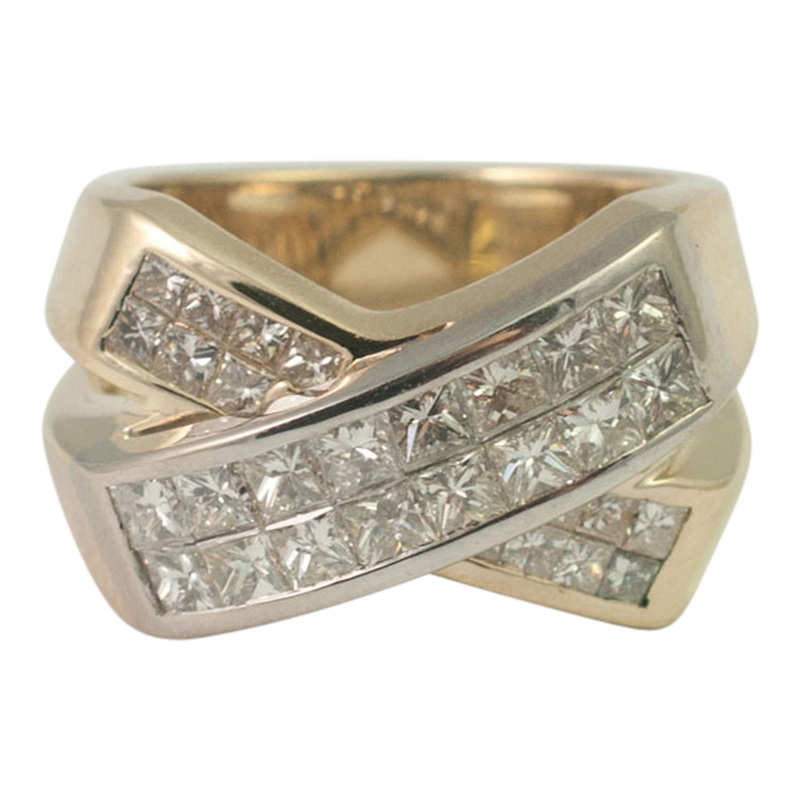 This ring is supplied with its original box and is in excellent condition.